In Nebraska, we do winter right. Our state is flooded with sunshine and blanketed in snow during the winter months, making it a paradise for locals and visitors alike. While summer is definitely our more popular tourist season, it would be a shame to miss out on our region’s fabulous lodges and cozy bed & breakfasts, all of which are a wonderful place to be when the temperatures drop. We’ve rounded up some of the most romantic lodges in the state for your next weekend getaway, complete with stunning views, fun seasonal activities and warm accommodations. 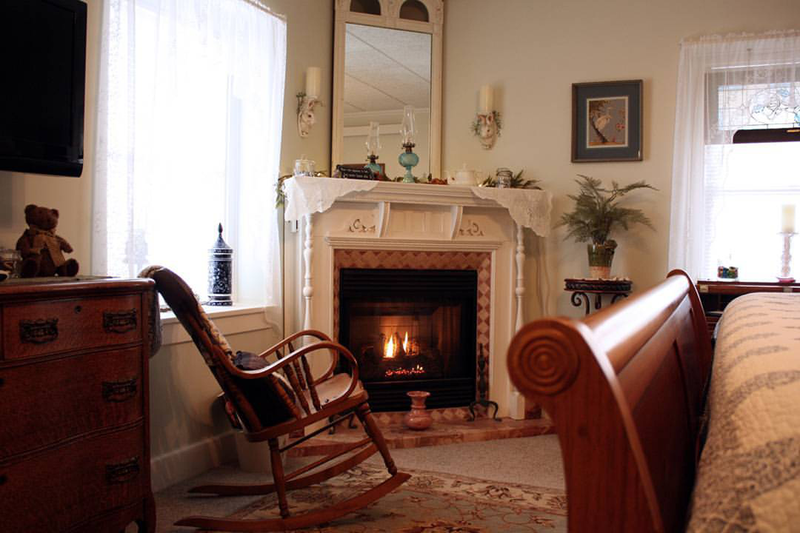 Located in historic Nebraska City, the Whispering Pines Bed and Breakfast offers the perfect amount of whimsy and comfort for your romantic winter escape. 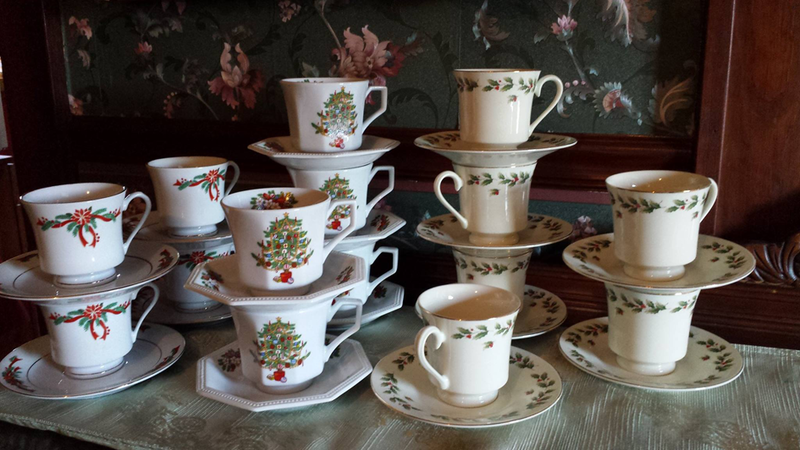 The Victorian-era farmhouse was built in 1878, and the main floor is decorated in classic formal Victorian style. Here, you can spend leisurely mornings in the main living space curled up with a book, and then explore the surrounding area by day. Nearby, you’ll find a bounty of museums, the famed Arbor Day Farm, Indian Cave State Park, the Lofte Community Theatre, several wineries, and a number of delicious restaurants. Relax in the hot tub in the evening with your sweetheart, and gaze at the star-flecked Nebraska sky! Call 402-863-5850 to make a reservation. 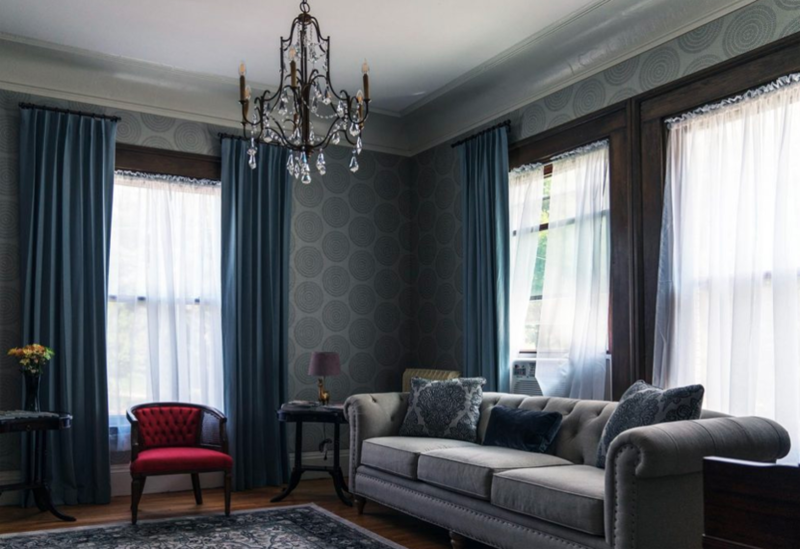 Set in a landmark mansion built in the late 1800s, Cornerstone offers a refined Bed & Breakfast experience. The mansion was a focal point of Omaha’s historic Gold Coast District, and no expense was spared in its construction and development. Guests have a choice between seven guest rooms, each boasting distinctive decor and romantic touches like cozy fireplaces, private decks, and over-sized claw-foot tubs. Since the mansion is located in the heart of Omaha, you’ll have easy access to the area’s best restaurants and attractions! Call 402-558-7600 to make a reservation. The luxury suites at Westview each include a fireplace, a two-person whirlpool tub, high quality pillow-top mattresses, plush bathrobes and slippers, and a wide assortment of free drinks and snacks — all the ingredients needed for a cozy, winter night in with your sweetheart. But if that isn’t enough to sell you, perhaps you’ll be wooed by the convenient location (just eight minutes from downtown Lincoln), historic setting, and friendly hosts! Call 402-470-6000 to make a reservation. This farmhouse-style inn is a joy to visit year-round, but it is particularly beautiful in the winter months, when the spacious grounds are covered in a light dusting of snow. Guests are able to enjoy a bit of country charm in the middle of a working farm, including farm-fresh breakfasts every morning! 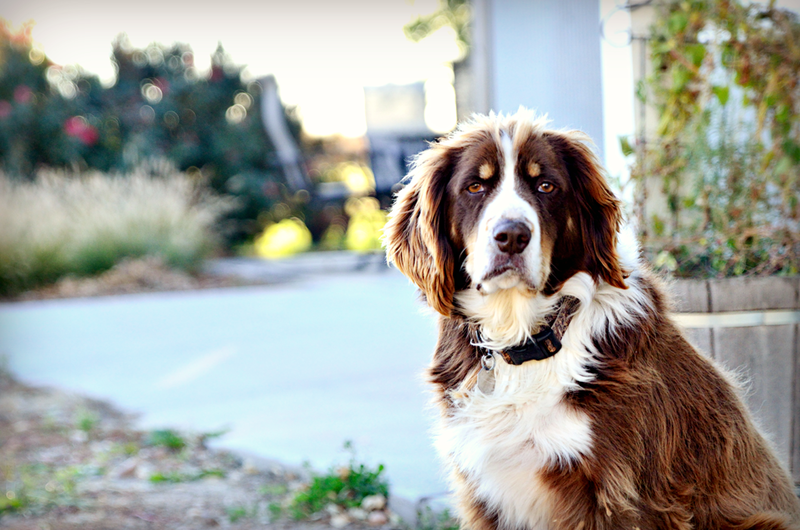 On the grounds, you’ll find a variety of wildlife and a peaceful pond, and you’ll likely be joined by Buster (the friendly ranch dog). For dinner, make a reservation at the onsite-restaurant, which features smoked meats, homemade rolls and desserts, and then retire to your cozy room. Call 308-832-1323 to make a reservation. 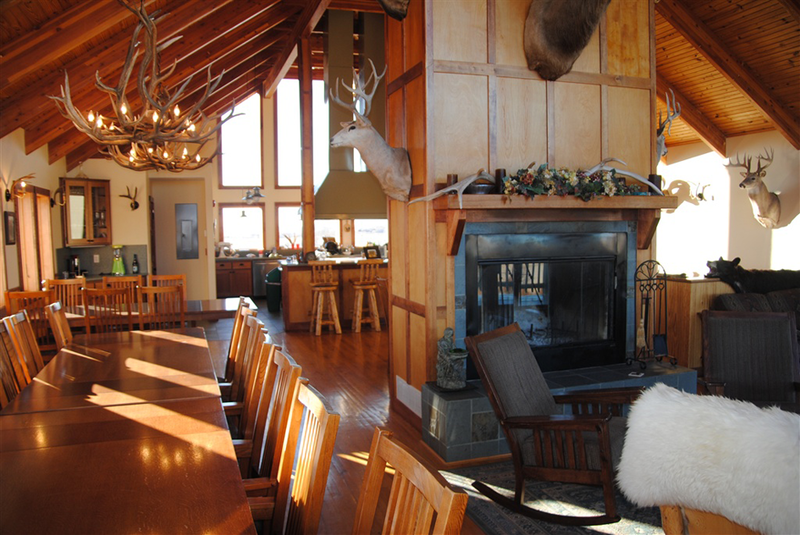 Immerse yourself in a natural paradise at the Heartland Elk Guest Ranch, which is truly the doorway to Nebraska’s wild side. 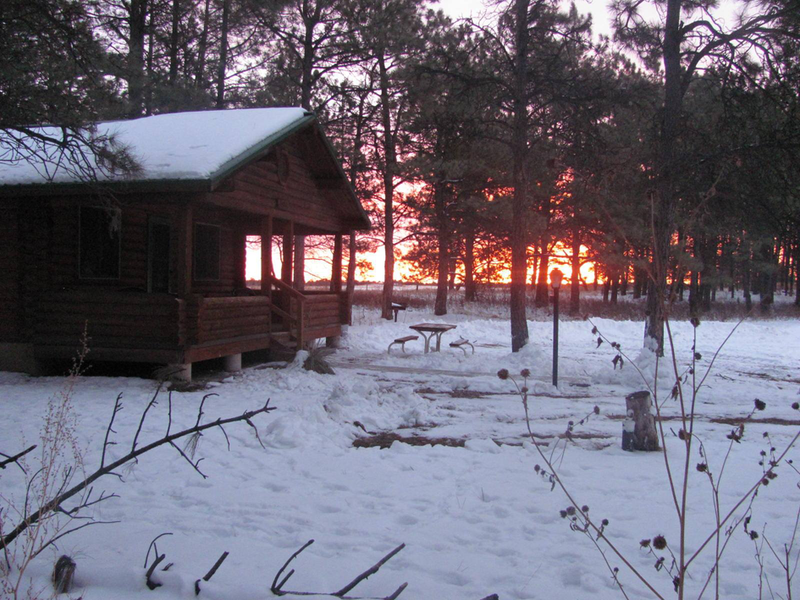 Located near Valentine, the ranch is nestled between rolling pine-covered hills and the Niobrara River, and offers plenty of opportunities to hike, snowshoe, or ice fish to your heart’s content. By night, retreat to your own private cabin, enjoy the brilliant sight of the Nebraska skies without light pollution, and warm up next to the gas fireplace. 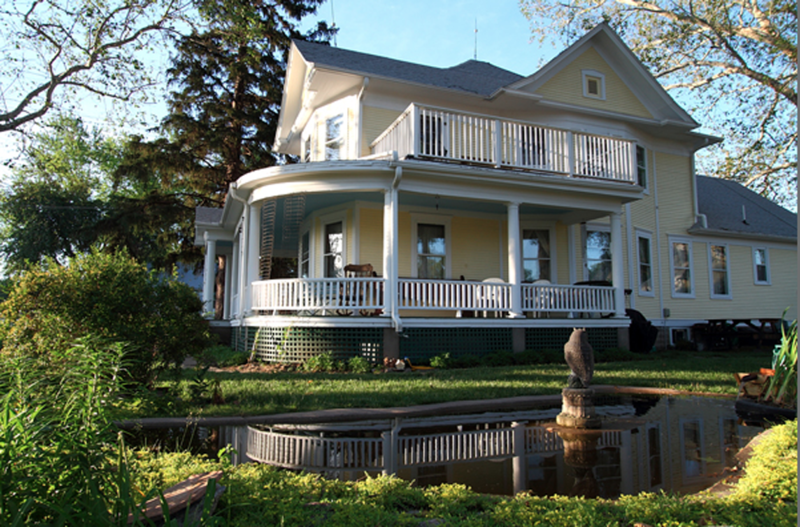 This charming inn is located in Bennington, Nebraska, just outside of Omaha. The lodge boasts two beautifully decorated bedrooms, each with modern, private bathrooms and a deck overlooking the grounds. Upon arrival, you’ll be met by your friendly hosts, Gordon and Linda, who are happy to provide recommendations for things to do in the area. In the morning, wake up to a home-cooked breakfast to start your day off right. It’s the perfect place to enjoy a romantic evening away in a historic setting! Call 402-614-7509 to make a reservation. When you choose a getaway at the Lied Lodge, you’re opting for more than an evening away. 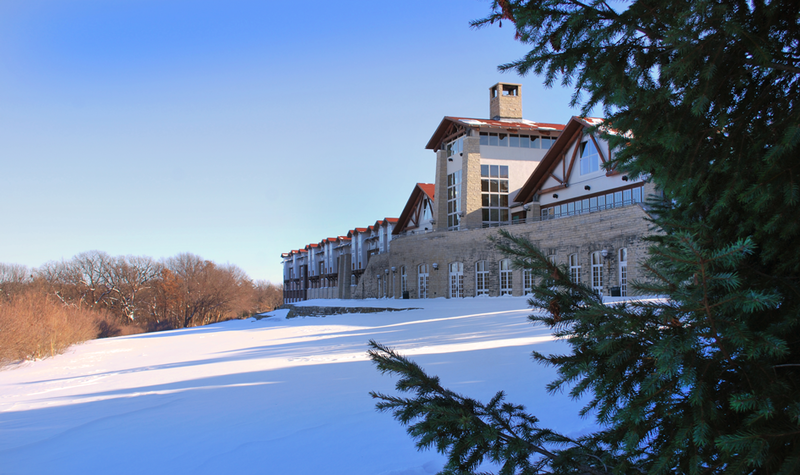 You’ll also be treated to a romantic ambience, modern amenities, a cozy cocktail lounge, a full-service spa, 260 acres of Nebraska scenery to explore, weekend wine tastings, and an upscale restaurant serving elegant, seasonal fare. During the winter months, the trees are strung with thousands of lights, which is truly a sight to behold! Visit this page to make a reservation. Comstock Premier Lodge is truly located on a little slice of paradise, surrounded by picturesque rolling hills, ranch land and forests. The area is home to a wide range of wildlife, including elk, whitetail deer, mule deer, turkey, pheasant, white bison and more. You’ll likely see a few of these animals while exploring the grounds, and when you’re done, you can retreat to the lodge and relax in the steam room or enjoy a cocktail by the roaring fire. Where is your favorite place to travel during the winter months? Let us know in the comments!